Roofing trends today strive to find a balance between energy efficiency and eco-friendliness as well as aesthetics - here are the trends 2018 produced that will be leading trends for years to come. Your home is an extension of your personality. To support the characters of your home, here are the 2018 trending exterior colours for some inspiration. This year, you'll notice the colours are inspired by nature and natural surroundings. Blue is a calming colour, evoking the ocean. No matter the shade, choose blue if you want to create an impression of serenity and mindfulness. Dark grey is a sophisticated and contemporary choice. Consider pairing charcoals with a contrasting colour for a taste of drama. Warm neutrals are on trend this year, and they’ll outlast the trends too. They go well with bolder colours - including dark greys or blues. Metrotile’s roofing materials are matched to the architectural style of the building. 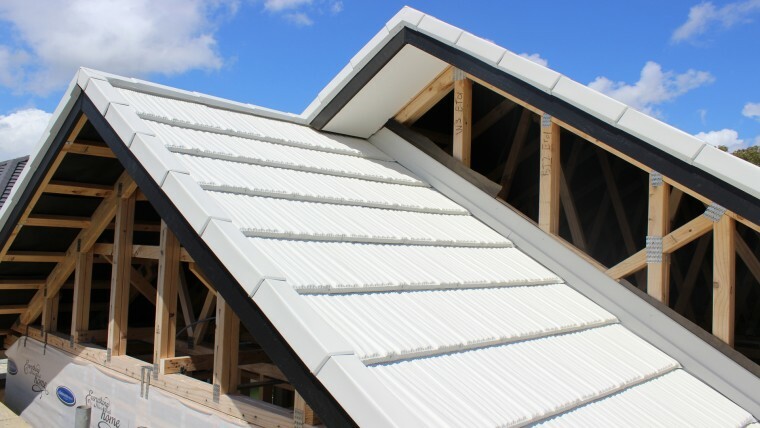 There are several styles of metal roofing tile and they’re available in a vast array of colours, so the roof will complement the home. 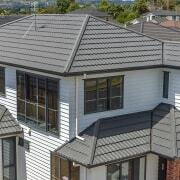 The base steel for our roofing tiles comes from the purest ironsand, sourced from rock breakdown on the Taranaki coast that occurred around 2.5 million years ago. 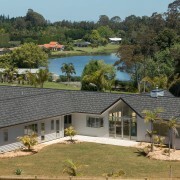 We use natural New Zealand stone granules to create colour. These stone granules are natural, formed over millions of years, so they will retain the natural pigment for centuries. People are getting pickier about the type of material they use, and as such, the traditional shingle is getting traded up for materials. But, these materials need to be as strong and durable, as much as they need to be innovative. 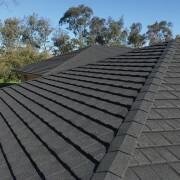 How long a roof will last depends on many factors, including the quality of the material and design, the weather it experiences and adequate roof maintenance. Metrotile uses modern manufacturing techniques to enhance durability. The advances are due to improvements in paint technology, especially the move from galvanized (zinc-coated) to Zincalume® (a combination of zinc and aluminum), which is made by New Zealand Steel. 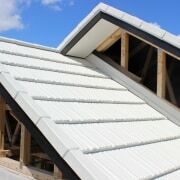 The new technology means that roofs cope with the harshest environments and continue to last a lifetime. When you’re designing a new home, remember that the style, look and feel of a roof can drastically change the whole aesthetic. 2018 saw a lot more unique roofing shapes as more architects and engineers rose to the challenge of modern architecture. Your options for roofing materials can be affected by the angle and shape of the roof, and the strength of the framing. Talk to your architect or designer about options you should exclude.If you’re replacing an existing metal or old concrete roof, it’s important to get advice from an experienced roofer. A licensed building practitioner (LBP) can tell you what materials you can use as replacement for the existing roof. Ask for a free consultation on roofing material - you can find Metrotile’s list of Certified Roofers on our Distributors page. Efficiency means you're delivering for tomorrow's needs today. For example, right now everyone is just starting to think about how you can increase the energy efficiency of your home? But unique solutions go beyond installing energy-efficient appliances. In this case, you can start from the top and work your way down. Roofs take the full heat of the sun every day, so an energy efficient roof can make a big difference. Material - metal roofs contribute to the overall energy efficiency of your home, because they have a high reflectivity. This stops unwanted heat from entering. 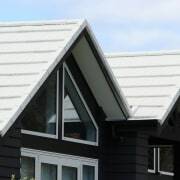 Colour - light roofs are reflective, while dark roofs absorb heat and direct it more inside the house. Under-roof insulation - it helps keep the internal temperature stable. Ventilation - a good quality ventilation system keeps the air moving and helps to regulate the temperature. Solar panels - the global demand for solar energy grows every year.